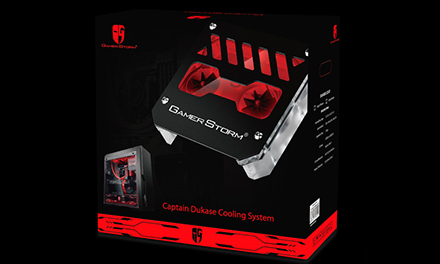 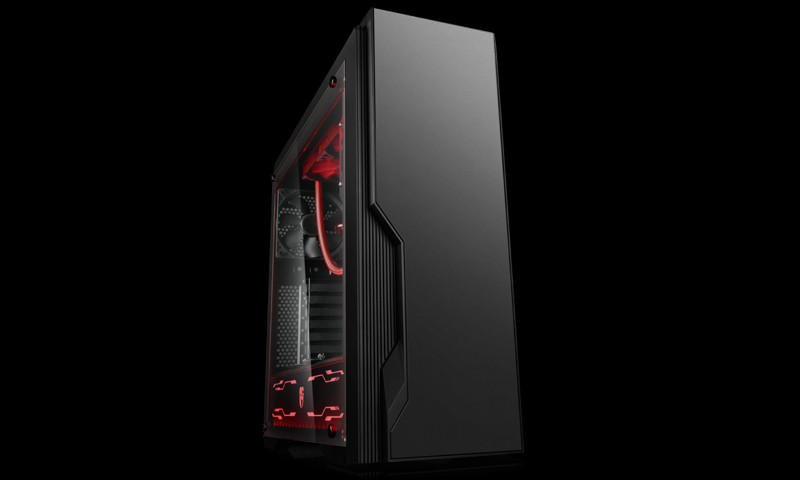 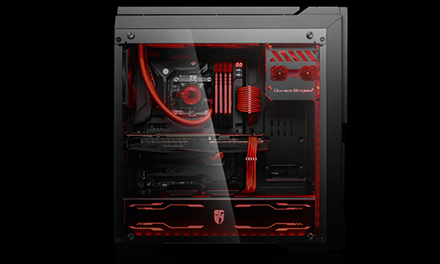 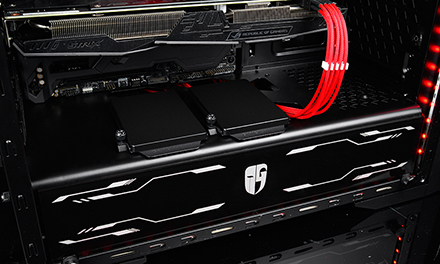 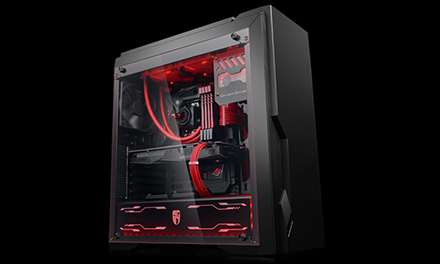 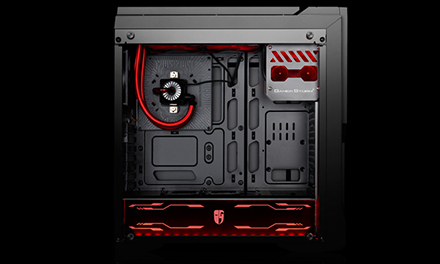 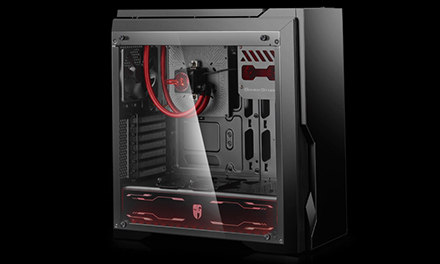 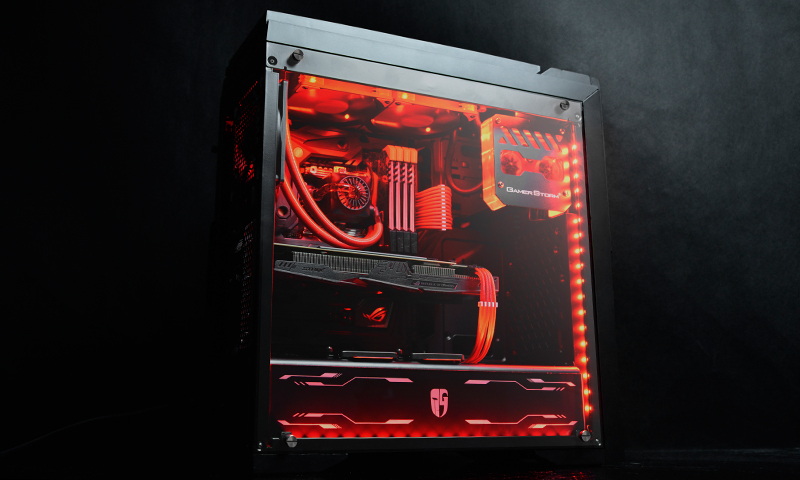 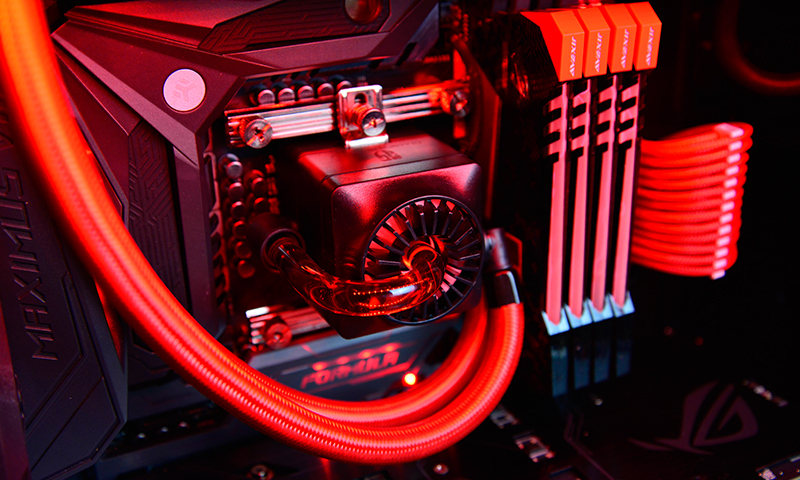 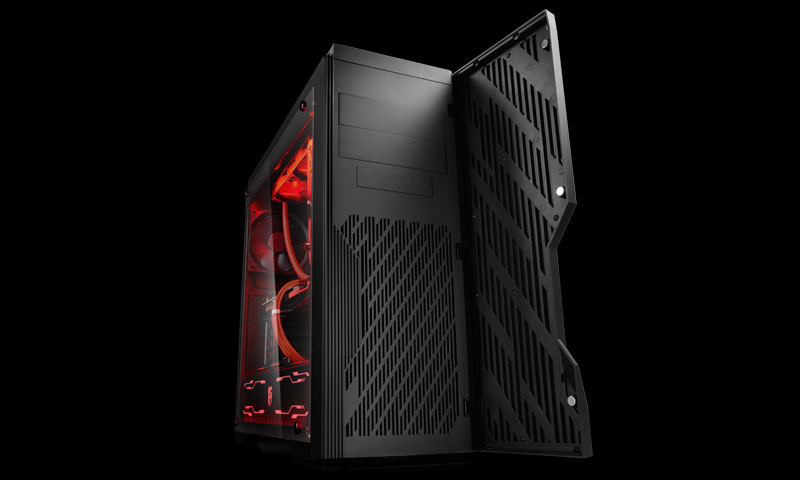 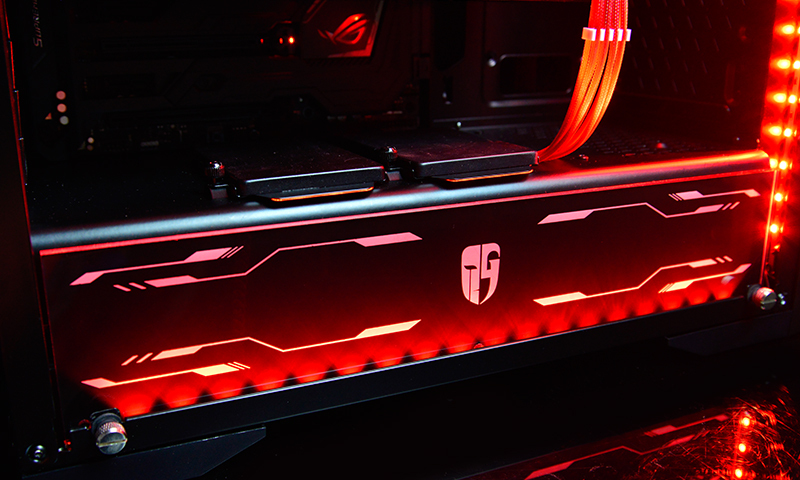 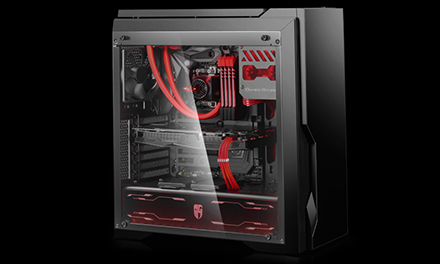 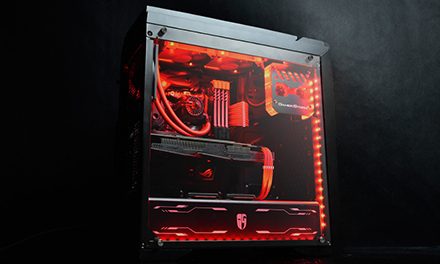 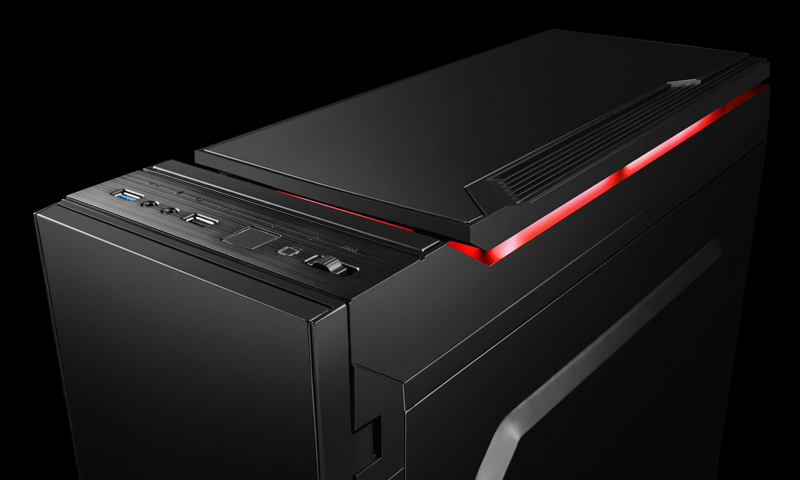 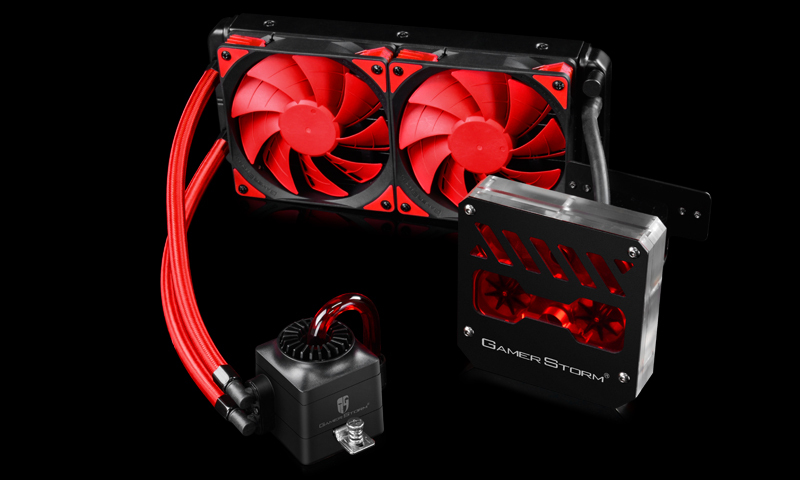 DUKASE Liquid is a tremendous upgrade from DUKASE V2, and includes an advanced liquid cooling system and a number of integrated red LED lighting to bring the entire rig to life with brilliant luminance. 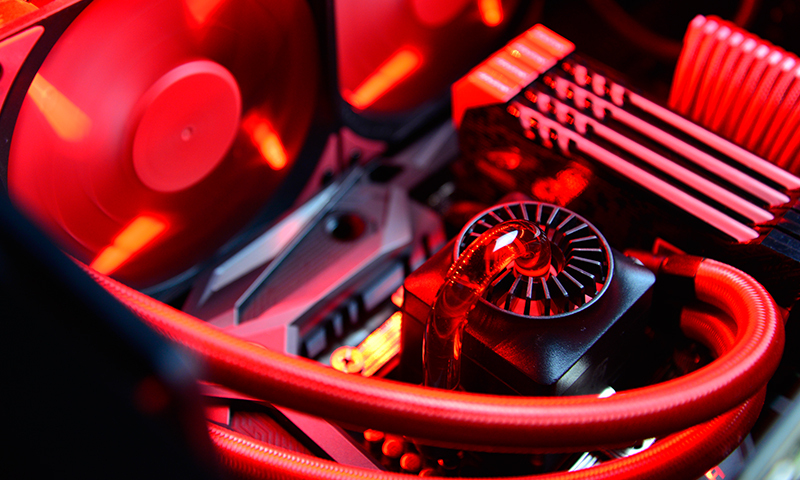 The lighting arrangement include flow indicators, water blocks, LED light panels, and LED strips. DUKASE Liquid is more than just a Steam Punk power rig. 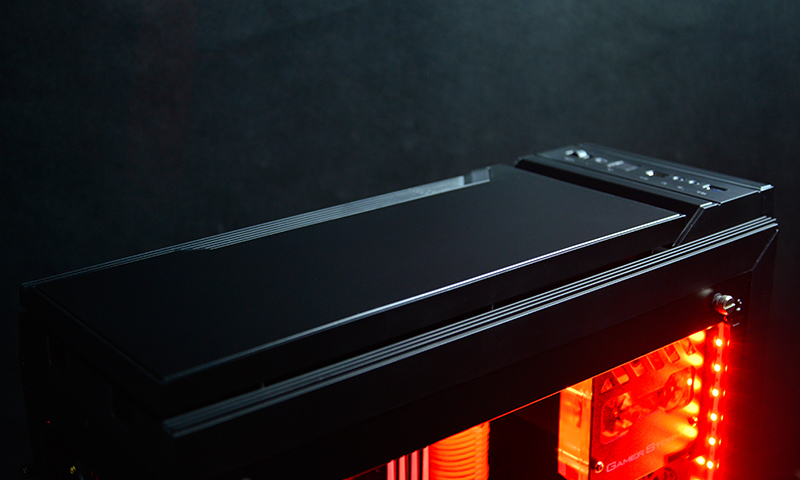 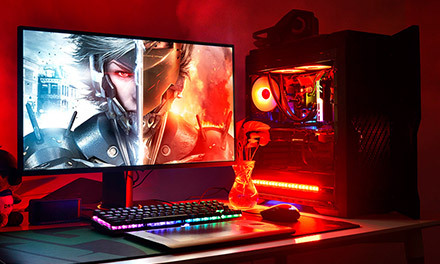 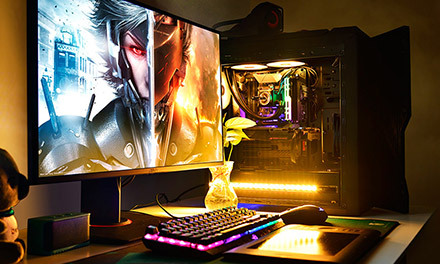 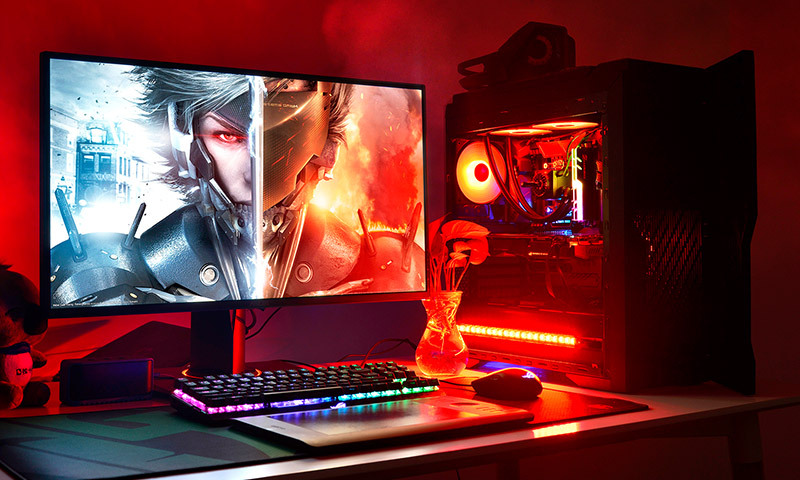 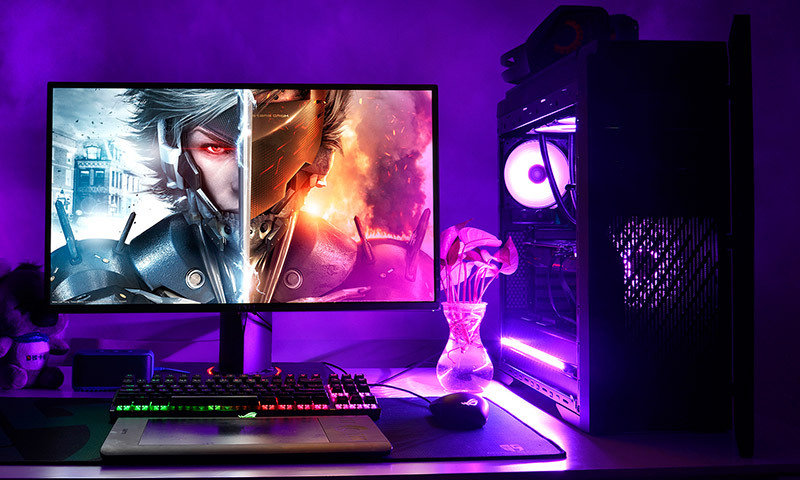 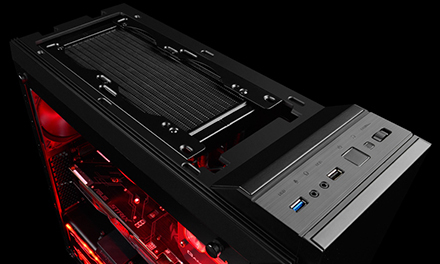 Visible liquid flow and LED lighting highlight the unbeatable ultra-silent cooling performance of the latest Captain 240EX AIO liquid cooler. 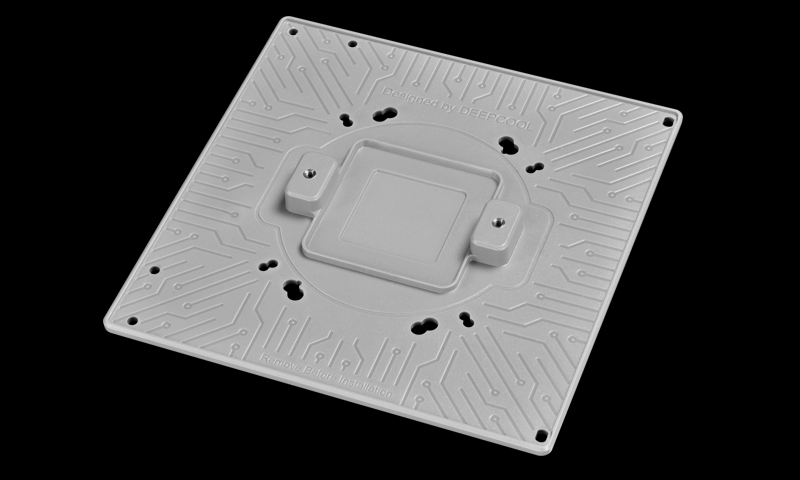 Visible Fluid Flow is an exciting new feature, providing a specialized flow indicator that provides a user with a direct view of the flowing coolant. DUKASE Liquid is a stylish high-tech tower furnished with an acrylic side panel, providing total visibility of the interiors while maintaining near-perfect transparency after long-term use. 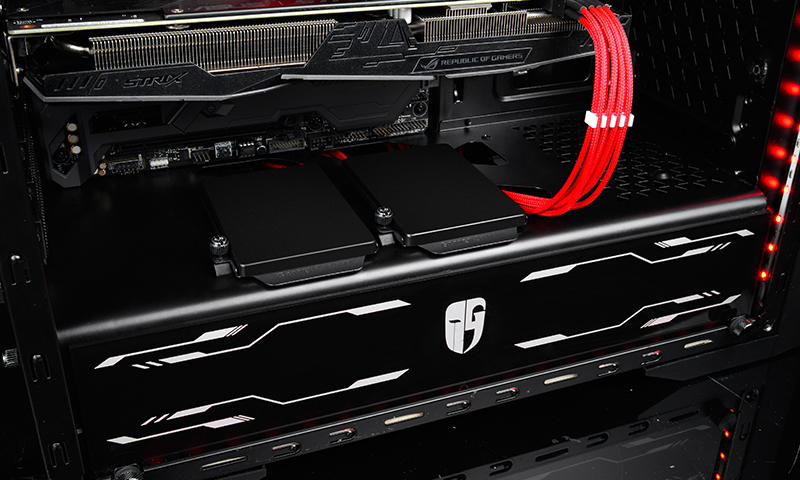 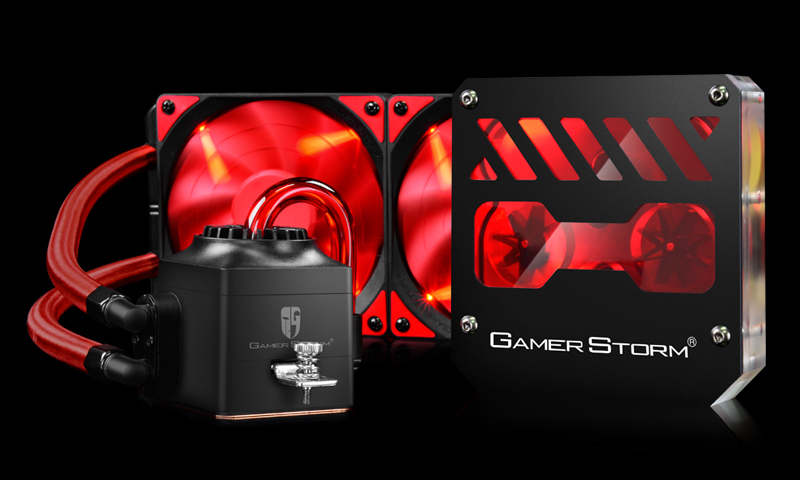 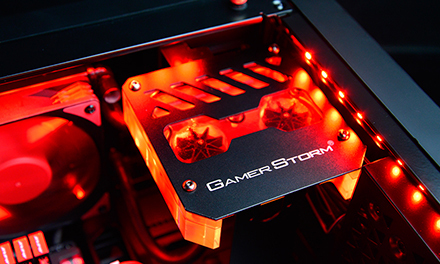 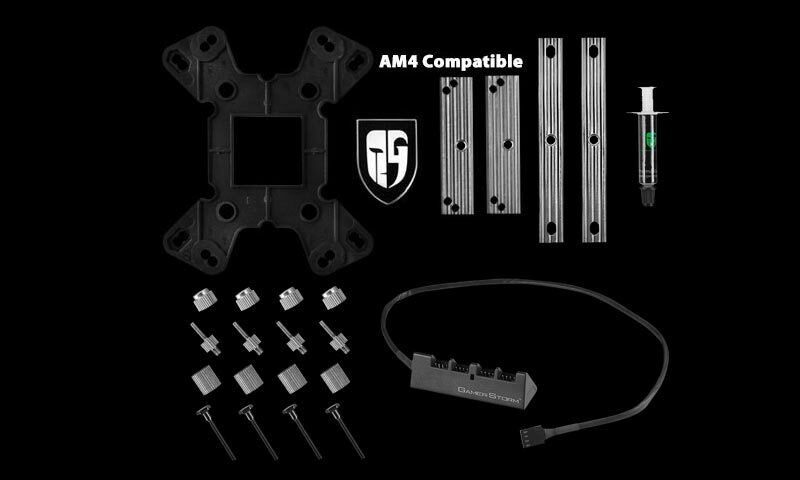 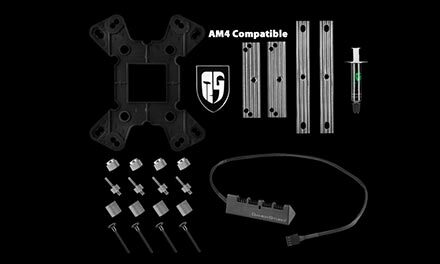 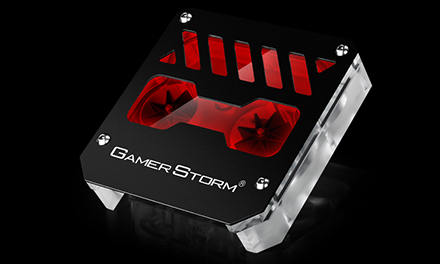 The awesome Custom LED Light Panel also sports the Gamer Storm logo. 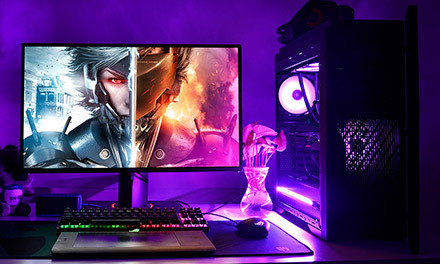 to the customized lighting effects. 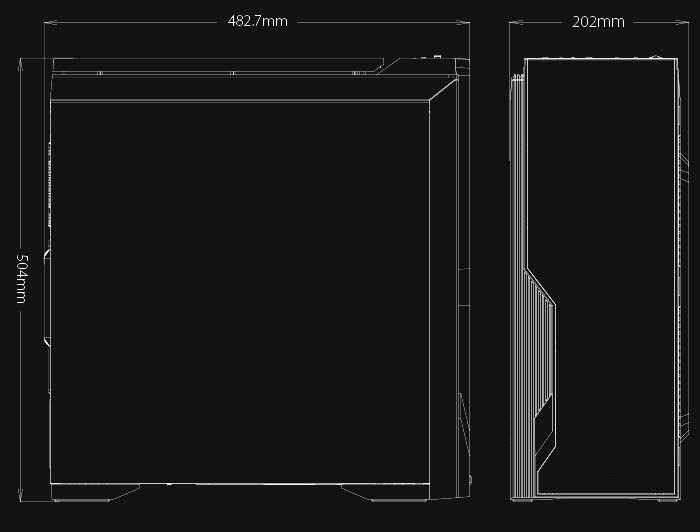 1x 120 mm pre-installed rear fan (black).